Red State, Blue State is a word visualization project whose purpose is to represent word usage in traditionally liberal and conservative media in an interesting way. 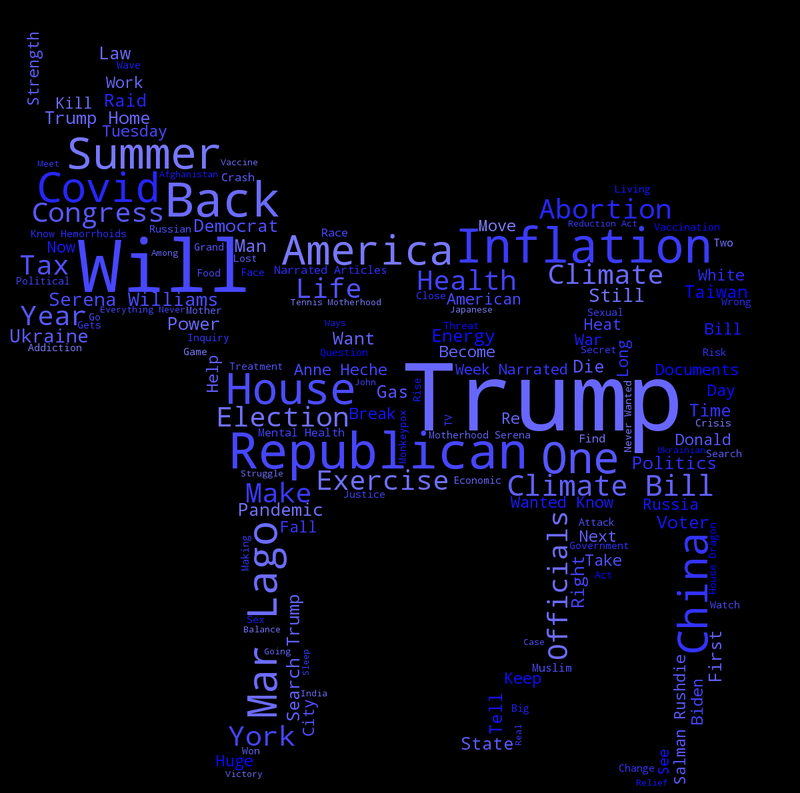 The word cloud images are generated from the text contained in the last ten days of headlines gathered from the New York Times and Fox News RSS feeds, which are then respectively layered over the donkey and elephant logos. 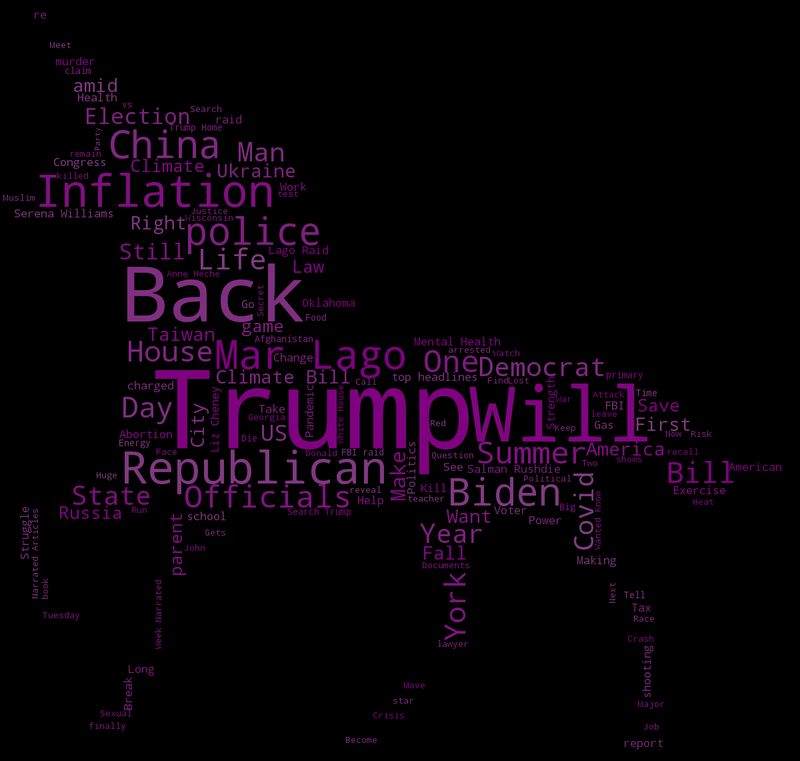 A third word cloud is generated from the combined text and layered over the image of the bipartisan unicorn. Images are generated on a daily basis using the preceeding ten days of headlines. 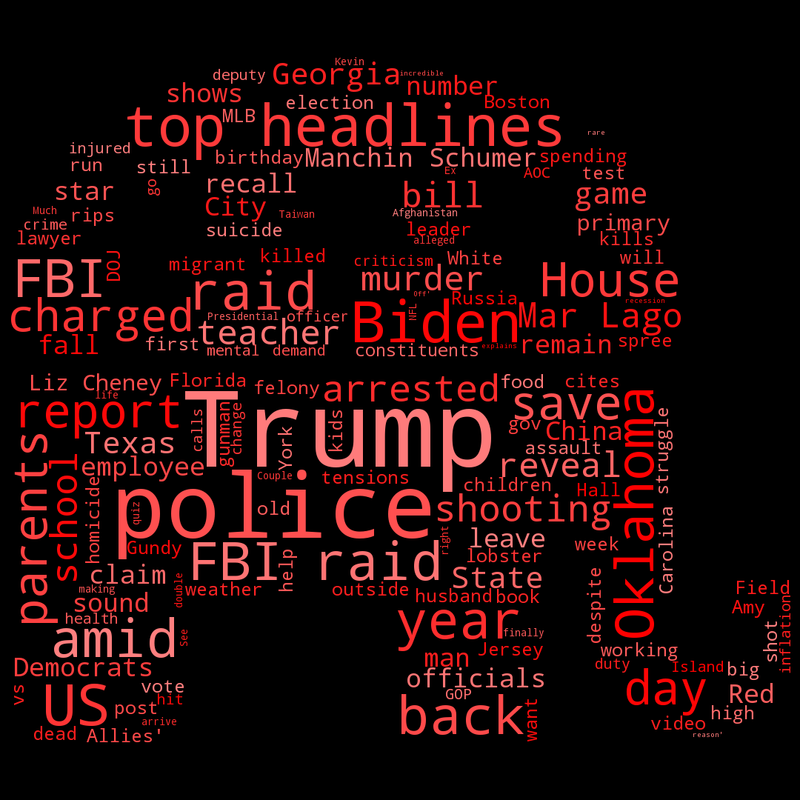 Red State, Blue State does not seek to espouse a particular political viewpoint, nor does the author believe that valid factual conclusions can be drawn from word cloud images. Red State, Blue State is not a commercial endeavor, and no money has been received or paid by the author.